Well...can you believe 6 weeks have been and gone?! It has been lovely to see all our pupils and their families back at the start of the new year and new term. It has been a wonderful first week back, the children look so smart and raring to go. 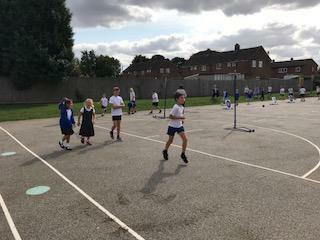 We have made some small 'tweeks' to our timetables this year with whole school assembly being every morning first thing, 'A mile a day' for KS2 pupils near the end of the day and a shared story time before home. 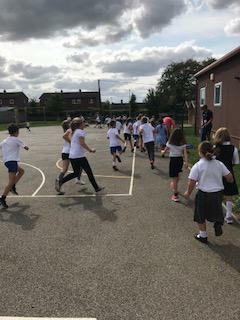 It was fantastic to see all the staff and pupils out walking, marching, jogging or running around our school yard and field #physical and mental fitness. As ever the Moira team are working hard to provide the best possible provision for your children and this year we see a focus on developing wider skills Eg historians, geographers and our continued development of 'COOL learning' - Children talking ownership of their learning through quality peer and self review. We will keep you updated as how this is going.